WWHA Skills Clinic September 19th and 22nd, 2018. Instructors: WWHA Veteran WWHA members. Who can participate? 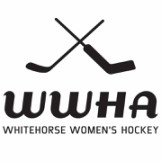 WWHA League members and applicants on the WWHA waitlist. Must be 18 or older. The invitation extends to all covered by the WWHA Gender Inclusion Policy. Dates: Wednesday, Sept 19th, and Saturday, Sept 22nd. Cost: $25 per session or $40 for both sessions. Fees are non-refundable and can be paid by e-transfer to wwharegister@gmail.com. If you are not able to pay via e-transfer, please email wwhayukon@gmail.com, with the subject "Skills Clinic" for an alternate arrangement. Insurance: There is an additional $25 fee to cover CARHA insurance if you either a) didn't play in the WWHA league 2017-2018 or haven't registered for the 2018-2019 league.